We've created the world's largest real-time data network with coverage that is broader and deeper than anything else in the industry. Our network enables users to find their health and wellness data, no matter where it's originally stored. Who is in our Data Network? What data can we retrieve? Given the diversity of underlying data sources, we take a hybrid approach to retrieving data from across the ecosystem. 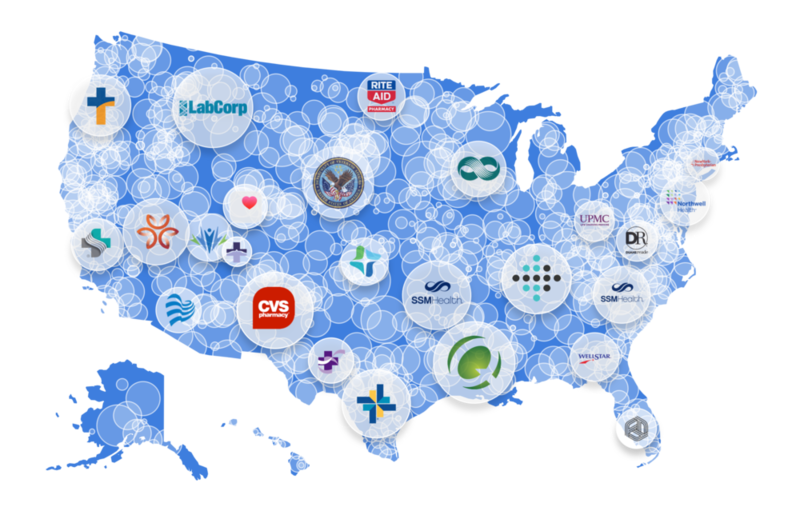 ProviderGraph: The who's who for health data in the U.S.
We've built the only multi-dimensional directory of the U.S. health data landscape. This relational database is continually updating to map the complex relationships between healthcare providers, doctors, hospitals, and the rich meta data associated with each. We do the heavy lifting to link entities in our ProviderGraph to ensure every user can seamlessly find their data regardless of where it's originally stored.